The sun is out and I’m sure lots of people have Paris on their minds! Here are our family tips for visiting the City of Love! A huge group of people are all hurrying towards the same destination. We are in the Louvre Museum in Paris, famous not only for its art, but for its starring role in The Da Vinci Code, and we are moving along at speed to see one specific painting. A lot of people wanted to see the Mona Lisa! Except, of course it is not just any painting: the Mona Lisa is probably the most famous piece of art in the world. It is over 500 years old and has been housed in the Louvre since 1797. Despite the many objects on display, no one seems very interested in anything but the woman with the enigmatic smile. When we actually find her, on a wall, behind a rope, she looks a bit smaller than I expected (only 21 by 30 inches). She’s also covered with bullet-proof glass. Jess, Robert and I wriggle through the many people staring and taking pictures. We try to get an uninterrupted view, but it’s tricky with so many mobile phones in the way. This museum, with its long queues and hordes of tourists, was not, as you may have guessed, the highlight of our trip to Paris, but it felt like something which had to be done. Luckily, once we had ticked it off our to-do list, we could enjoy some of the other treats on offer. Of course these included the iconic Eiffel Tower, once the tallest building in the world (it’s over 300 metres high). It should be top of every first-time visitor’s list, although it is extremely popular and if you just turn up, your heart will sink at the sight of the incredibly long queues. To avoid those, make sure you buy a ticket online in advance, and when you arrive, look for the signs for “Entree Visiteurs Avec Reservation”. You can find more of our tips for visiting the Eiffel Tower with, or without kids, here. It’s ironic that the Tower, built by Gustave Eiffel for the World Exhibition in 1889, was meant to be temporary and there were complaints that this huge “object” was not a suitable fit for Parisian architecture. Fortunately, those grumbles are long gone and the Tower has become a symbol of the city, hovering into view pretty much wherever you are. If you want to take the perfect photograph, you might want to walk over to the Trocadero after your visit. The Eiffel Tower more than lives up to the hype, and so does its home town. This so-called city of light is not only known as a place for lovers, but for artists, gourmands and shopaholics. That doesn’t mean we fell in love with it instantly. In fact, we found Paris less friendly than London (although I’m a Londoner, so might be biased) and a bit confusing because lots of places are closed on certain days – Victor Hugo’s house and the Musee D’Orsay on Mondays, the Louvre on Tuesdays – so you have to plan ahead. It’s also one of the priciest cities in the world. We were shocked to find that a soft drink or hot chocolate cost more than €5 and I had to bite my tongue when my daughter wanted a macaroon and I saw that it cost €6, or over £5 for one biscuit! But those things apart, Paris certainly has a lot to offer. The city is actually a collection of villages (or arrondissements) and you can stroll round the artists’ area of Montmartre before taking a short cable car ride up to the beautiful Basilique do Sacre-Coeur (where you can see the Eiffel Tower lit up at night) or saunter through the beautiful Tuileries gardens. Shoppers should take in the Marais district, which is also full of galleries and cafes, while families should take advantage of the fantastic parks on offer, from ones you just fall upon by chance (such as just outside Victor Hugo’s house) to the spectacular, such as the Jardin D’Acclimation, which is worth a visit on its own. Robert has written his own post about this. We also enjoyed seeing the famous Rodin sculpure of the Thinker at the Rodin Museum. We loved walking around this museum as there are so many sculptures to see outdoors. It was already closed for visitors inside when we were there. Walking is a particular pleasure because you keep coming upon remarkable monuments, such as the 23 metre high Obelisk, which was originally located at the entrance to Luxor Temple, in Egypt. We also walked past a memorial to Winston Churchill. One of the most impressive is the Arc de Triomphe, even though it’s right in the middle of traffic chaos. Built by Napoleon, it’s situated in the centre of the Place de L’Etoile (which means “place of the star”). Twelve grand avenues, including the Champs Elysees, radiate off it, to form, funnily enough, a star. However, our favourite part of our Paris trip was not on dry land. It was a sightseeing cruise along the River Seine in a boat, the famous Bateaux Mouche. This 70 minute ride, which costs €12.5 per adult, is a must-do, as it’s relaxing and informative, with fantastic views. It is wonderful to see so much, from Notre Dame to the fortress of the Conciergie, and all from an angle you could never see on land. It really is the best way to see the city. PS We went to Paris via Eurostar and thought it was a fantastic way to travel and far more relaxing than flying! We were just in Paris a couple of weeks ago and had a fabulous time. The Eiffel Tower lit up at night is gorgeous. I am even more excited about our family holiday to France now. We shall be driving past Paris so no doubt we shall stop. You would think that mobile phones would be banned in the museums wouldn’t you. I think that would be impossible! It’s the huge iPads that I find really annoying! Paris is amazing ! I love the museums there I went pre mobile phones . Your post makes me want to go back. There’s so much to see at the Louvre – to be honest I’m not a big fan of the Mona Lisa. You’re right, there is loads more to see and we probably enjoyed that more than the Mona Lisa! Aww, this has brought back lots of lovely memories. My hubby and I got engaged in Paris and this year is our tenth wedding anniversary. I’m secretly hoping for a return trip! Paris is such a gorgeous place to visit! I can’t wait to take Leo! I went to Paris a couple of years ago now, it was only for 24 hours and definitely not long enough I would love to go back and explore more. Fantastic! Thanks for posting – we’re in the planning stages for a Paris trip, and this is a big help. Thanks for posting! Hope you have a wonderful time! Glad we could help. Loved reading this as we are off to Paris in the summer. Trying to persuade my family that the Pere Lachaise cemetery is a must-visit but they’re not convinced. I always think it’s good for everyone to be able to choose something they want to do on holiday, so this could be yours….And they might be pleasantly surprised! I guess it also depends how long you are going for too. Hope you have a great time. Our daughter has been pushing us to make Paris our next trip – some great advice here! The pictures are fantastic! Like looking through a travel brochure! Thank you very much. I think the blue skies helped! My first time in Paris I stayed in a hostel looking up at the sacre coeur basilica- it was one of my favourite places to hang out and just enjoy the view! I have never been to Paris which is crazy as it is so close really. Ah, I wish the Louvre had been more than a tick-off the list for you but I certainly do understand with children and the crowds! In the Dept. of Near Eastern Antiquities there is a special room called Cour Khorsabad which contains these wonderful giant sculptures called Lamassu. Did you have the chance to see it? I love the Tuileries, too. 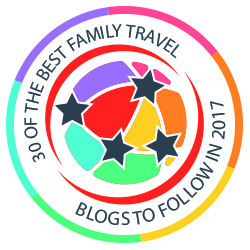 What a great post – I can see the benefit for all and especially those travelling with children. Best to you! I remember having exactly the same thoughts about the Mona Lisa too. Although I went rather a long time ago so at least smartphones weren’t obscuring the view! We also attempted to go up the Eiffel Tower on another occasion whilst we were waiting for an overnight train – but after queuing for 2 hours we decided to go and get something to eat instead…. Definitely need to book in advance for the Eiffel tower – that’s the most crucial thing we learnt! I find it completely hilarious how worked up people get over the Mona Lisa. It seems to me that the fanfare is mainly due to the fame which the painting has acquired over time rather than appreciation for the work itself. Also, not only is it tiny and behind bullet proof glass, but it has been cropped from its original size. I think we felt that too, but it was my son who really wanted to see it. There are loads of other great things to see there though! You are right, Sarah. Your list of attractions is suitable for all generations, except perhaps for toddlers. Paris is beautiful at any time of year, even during the rain. I think we had a very similar itinerary when we visited some years ago. We were also confused with the many different closing times but did go to the Louvre in the evening and managed to get a pretty uninterrupted view of the Mona Lisa. Next time we must try the river cruise – we didn’t on our last visit and yet it’s something we always tend to do in European cities. We haven’t been to Paris for ages – I’d like to go back there soon. It’s so easy to get there by train too. I would LOVE to go to Paris, but my OH has been before and would rather try somewhere new – am determined to get there one day tho! Thank you. I do love the pictures from this holiday, and can imagine that it must have been lovely to go just the two of you! We’re off to Paris in a couple of weeks and can’t wait, it’s such a gorgeous city. Great tips! Hope you have a great time – I’m sure you will. Definitely do one of the parks! Thank you for your recommendations; I am sure they will come handy one day. I know that when I go to Paris for the first time, I will definitely hit up all of the touristy spots, too! Some things you’ve just gotta see. Have been to Paris a couple of times, though not for a while and it’s ripe to go back to, especially as we’ve never done the river cruise (wanted to do it last time but they’d had a ton of rain and the Seine was crazy high so the boats couldn’t get under the bridges). You’re right, it is expensive though, we usually have at least one picnic while there. Stick of french bread, some meats and cheese and sit in a park looking at the Eiffel Tower – saves a few quid (€) and I always feel really french and continental doing it, LOL. LOVE these tips – I was exactly the same when we saw the Mona Lisa – I was underwhelmed and it was too crowded! The boat ride looks like much more fun! 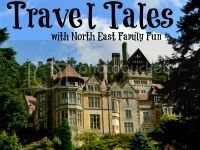 I’ve pinned this to our #traveltales pinterest board and will be sharing on twitter across the next few weeks. Thanks for linking up. I so want to go. And on the Eurostar if I can. Great post. I can’t wait to see Paris for the first time. We are planning a trip within 2-3 years with our 9 year old son! I really enjoyed climbing to the top of Sacré Cœur to get a great panoramic view of Paris, including the Eiffel Tower. I am not sure if this is really suitable for young children to do, but taking them to the inside of the Basilica for a short visit is a must!